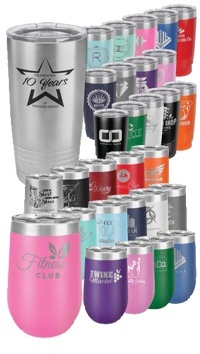 These stainless, vacuum insulated tumblers are available in a variety of sizes, styles and colors. Solid color versions are powder coated for durability and can be customized with laser engraved text and images. Plain stainless versions can also be laser engraved or digitally printed with full color designs. We can do singles or volume quantities! We can also help with the art requirements, set up and layouts! 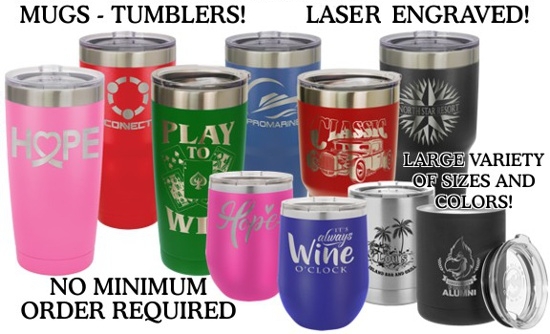 Please contact Troy Scott (troys@roanokecp.com) for details on your custom tumblers!